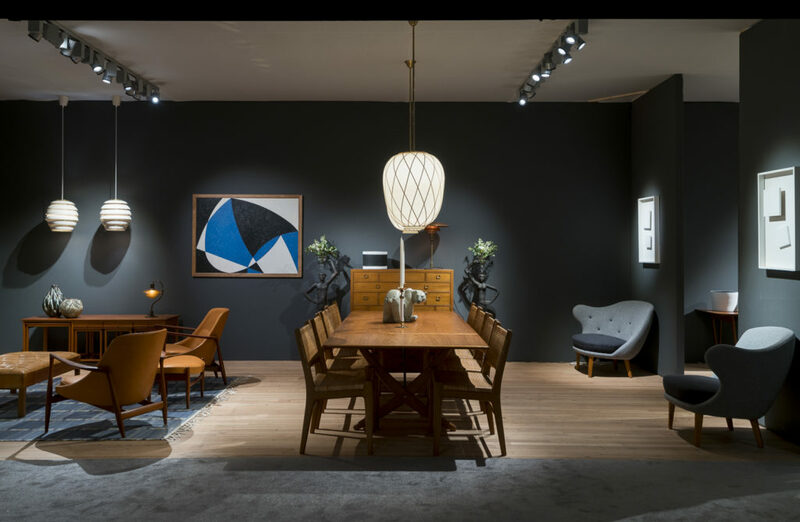 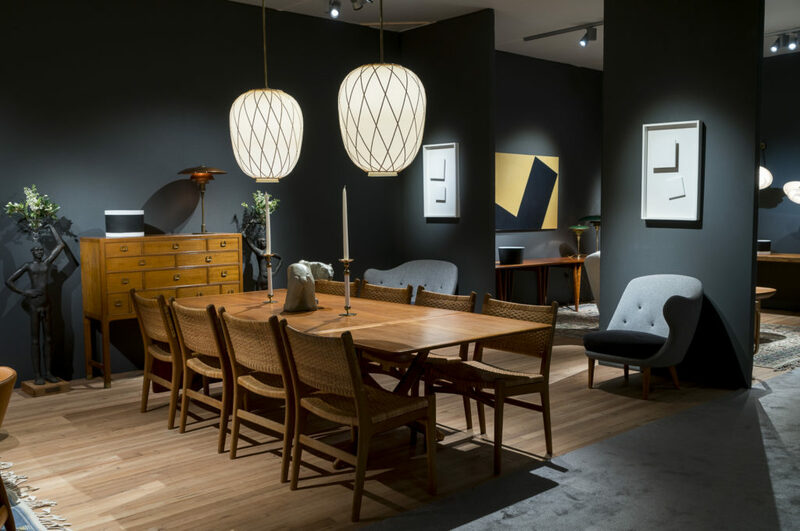 This year, Danish cabinetmakers Kaare Klint, Börge Mogensen, Ib Kofod Larsen, Frits Henningsen and Hans J. Wegner were honored at our stand, together with Swedish architects Axel Einar Hjorth and Gunnar Wrange. 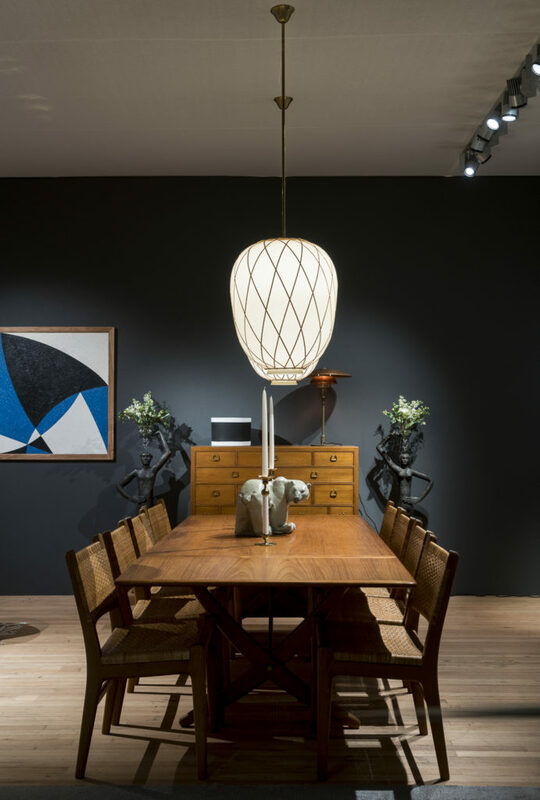 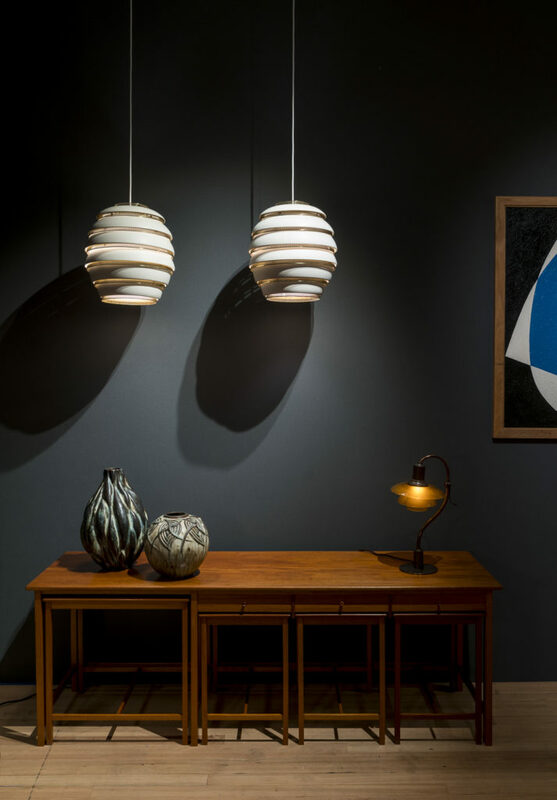 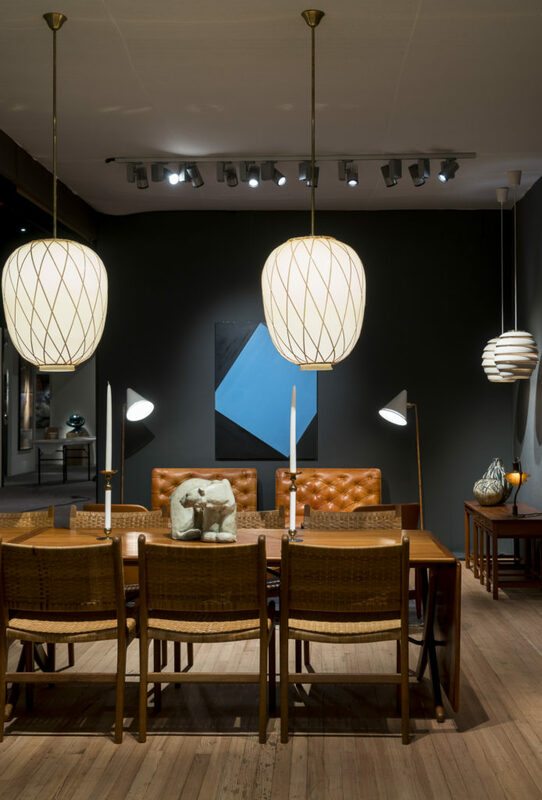 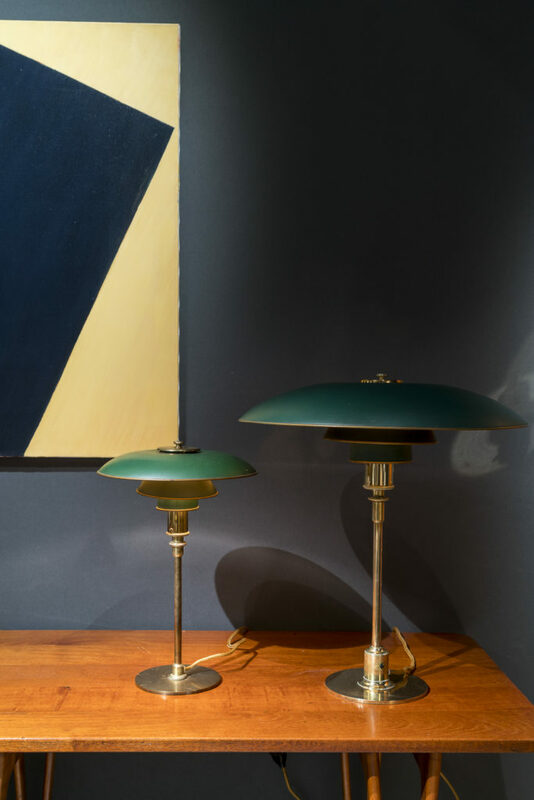 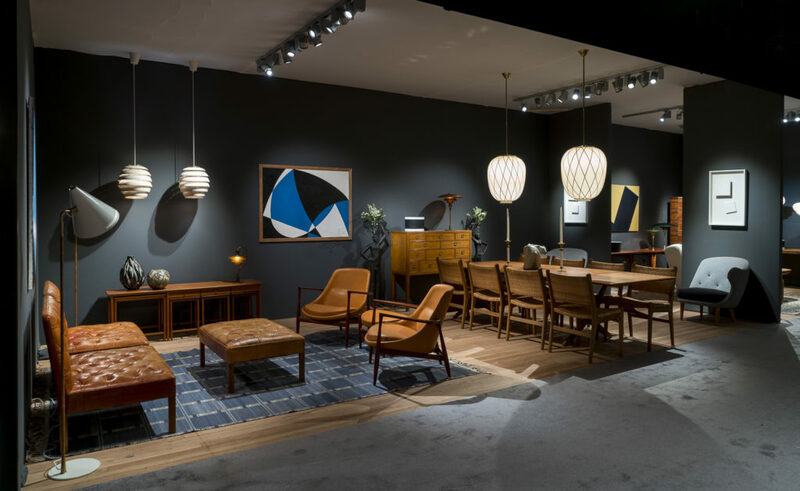 Their designs were enhanced by Swedish hand-woven rugs from MMF and lit by rare examples of Finnish lamps signed by Paavo Tynell and Alvar Aalto. 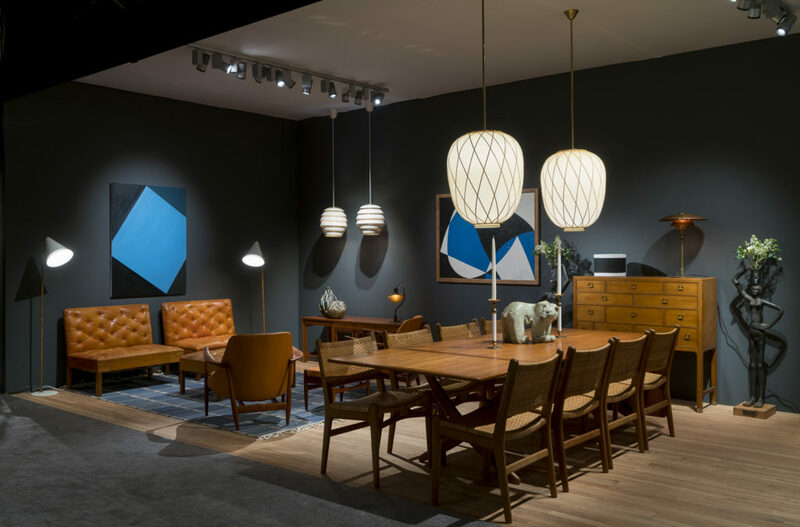 The right section of our stand was reserved for a collection of ‘Sportstugemöbler’ (cottage furniture), which raised popular enthusiasm in Sweden in the 1930’s, as more and more people were gaining access to vacation homes in the Stockholm archipelago. 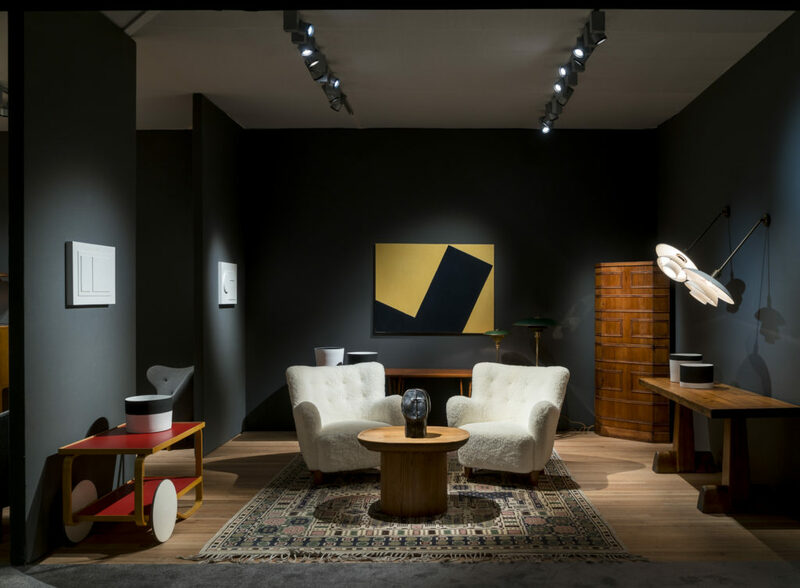 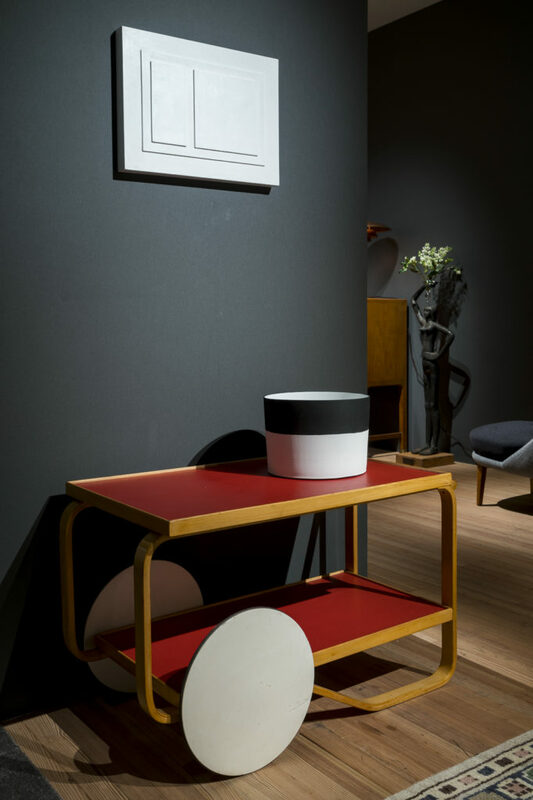 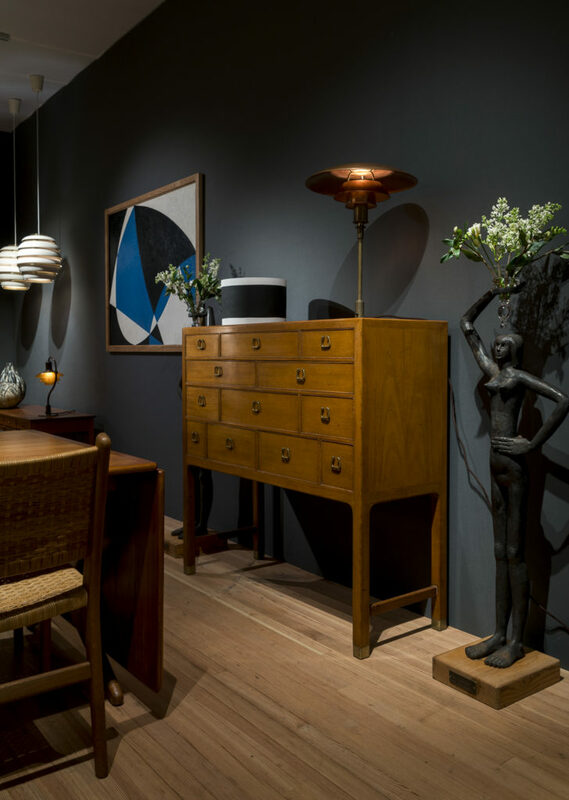 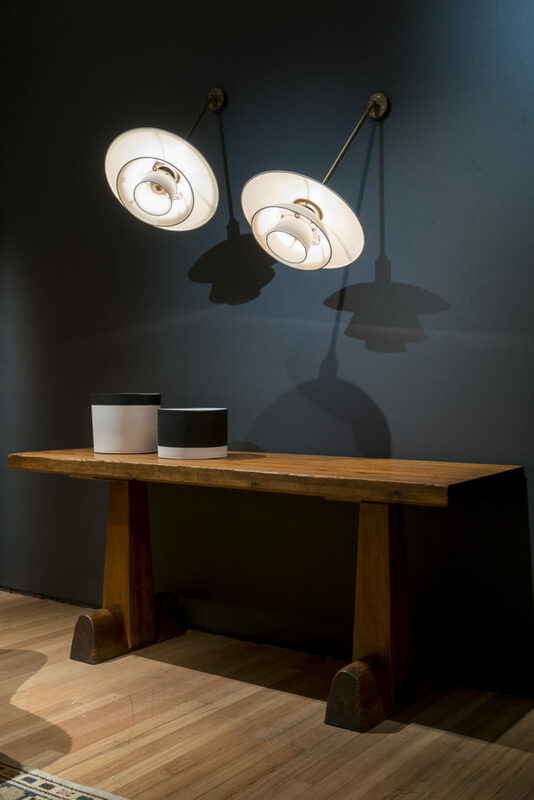 Axel Einar Hjorth’s Utö designs and Wrange’s corner cabinet show a unique combination of French Art Deco details, powerful brutalism and a rustic air of the Arts & Crafts, which makes them exquisitely modern today and frenetically sought after by collectors. 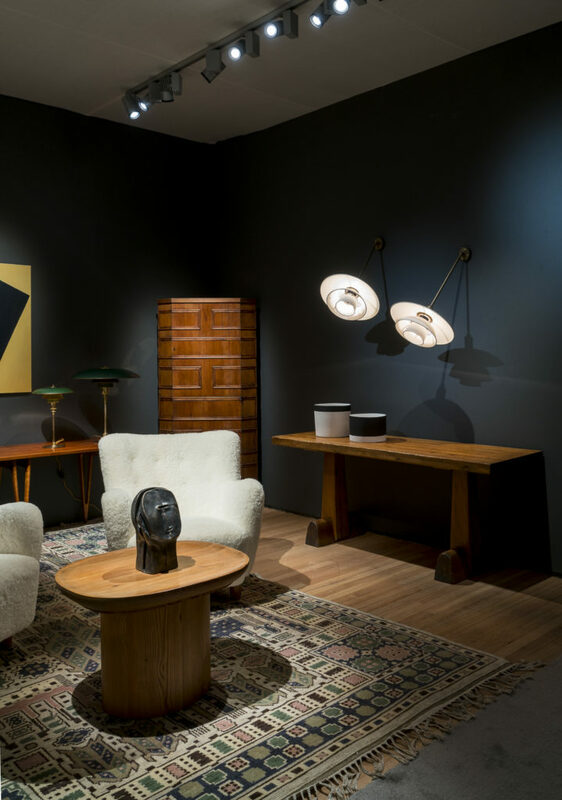 Our left section had an outstanding collection of historic furniture on display. 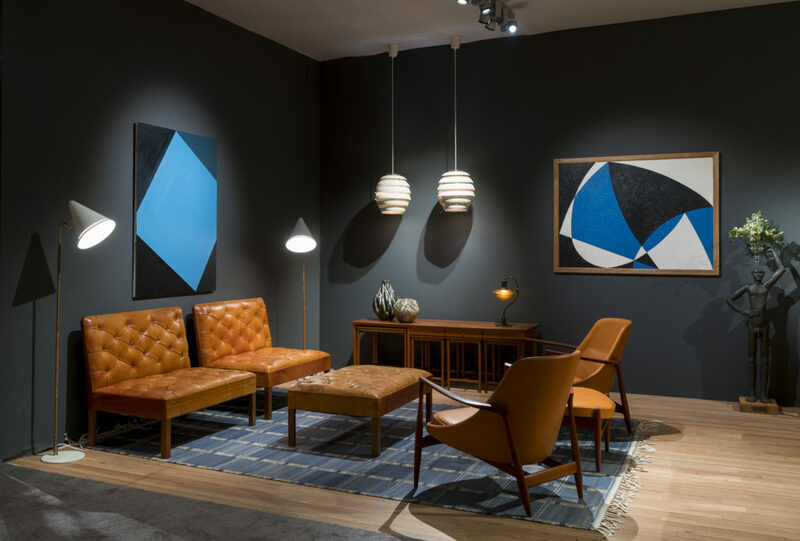 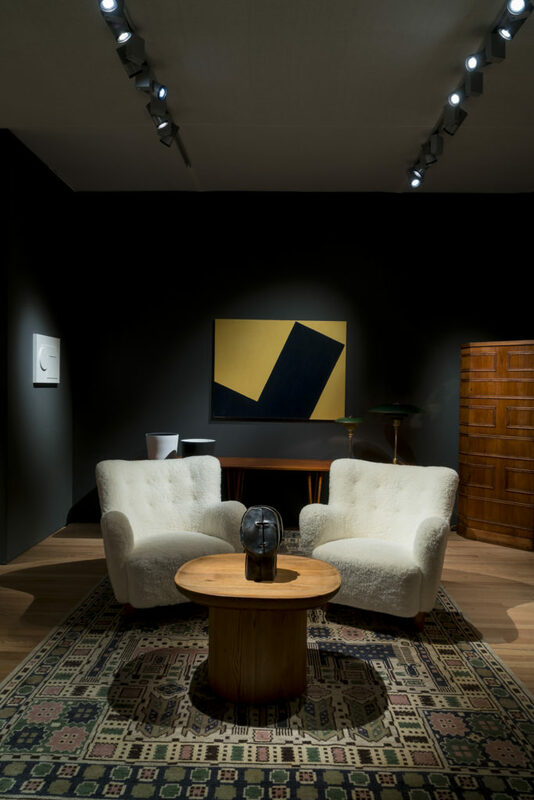 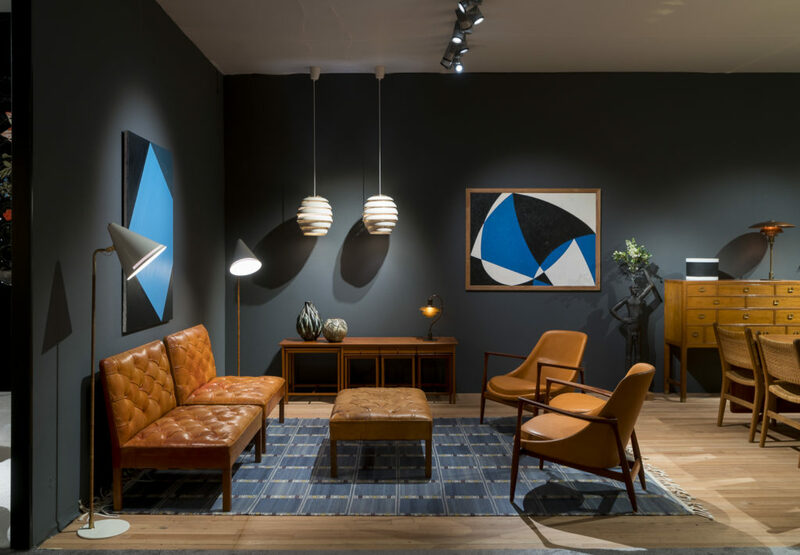 Kaare Klint’s iconic Addition sofas and a footstool, a set of two Elizabeth chairs and footstool by Ib Kofod Larsen, Hans Wegner’s sabre-leg table and CH31 chairs, and a pair of exquisite and rare Arne Norell Thumb chairs. 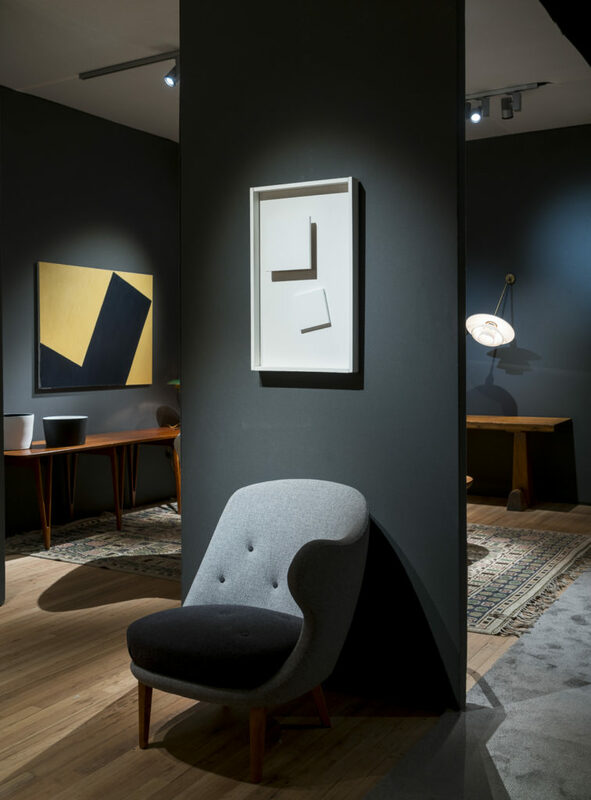 We were all extremely pleased with this year's edition and thank all visitors who stopped by our booth to see our collection.